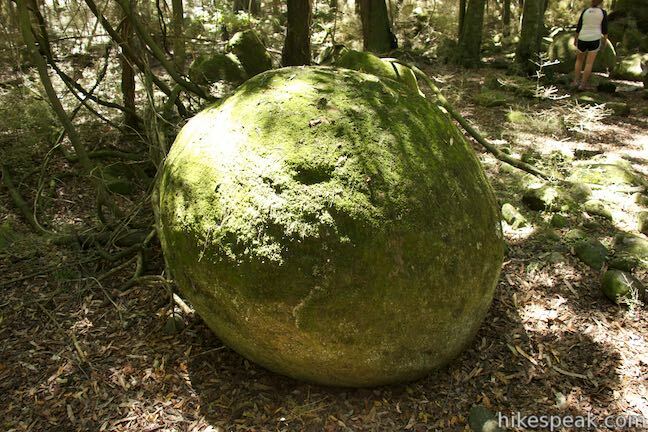 Nature produces some surprising creations, like the large, freakishly round boulders found along the Rangitikei River on the North Island of New Zealand. 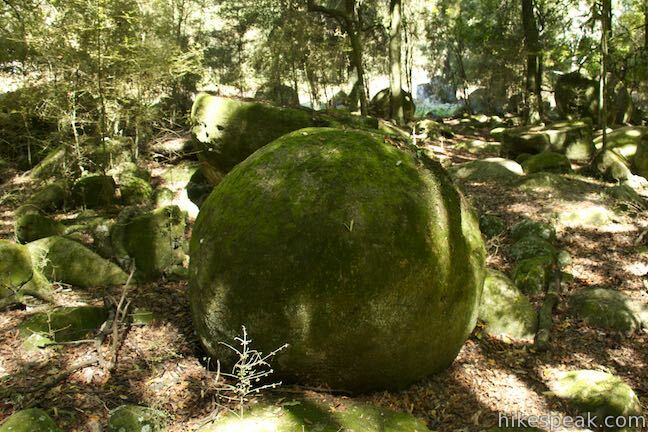 The boulders, known as cannonball concretions, are clustered in a moss-covered forest that is charming to walk through. 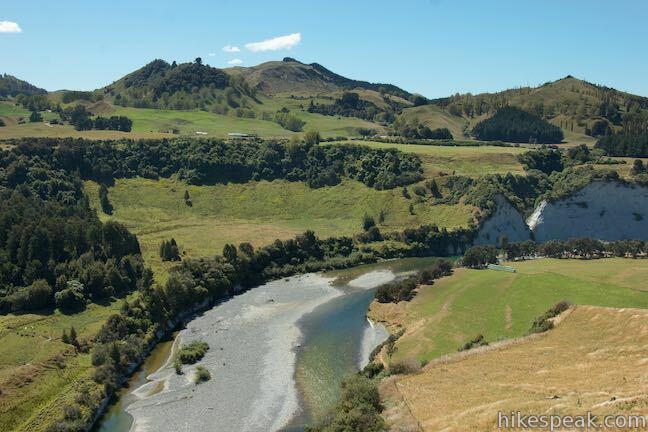 Take a 4.1-kilometer (2.55-mile) walk across Whitecliffs Farm and up the Rangitikei River to the boulders. 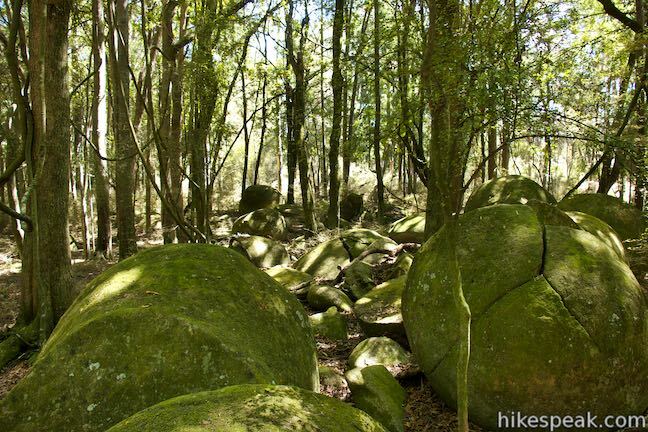 The trail descends 140 meters (460 feet) between the car park and the low point of the route to the boulders. 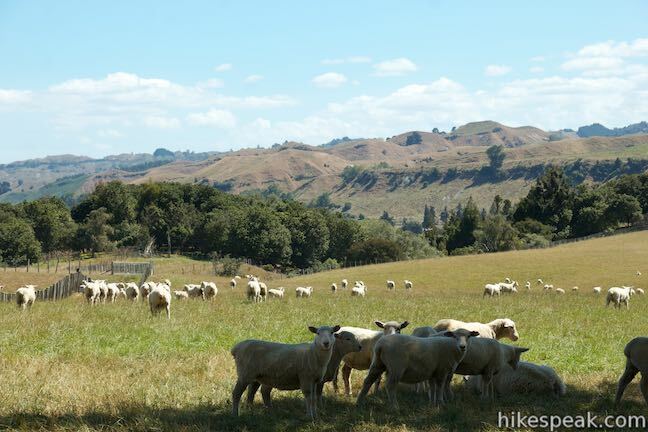 This short walk provides a variety of experiences, giving visitors a chance to walk across a working New Zealand sheep farm, stroll along a picturesque river, and explore interesting boulders. 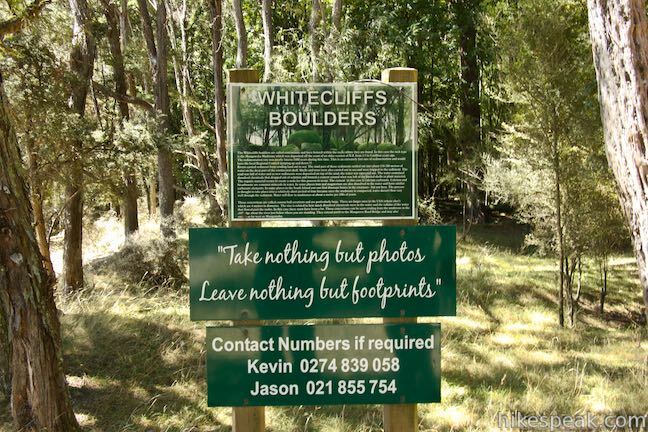 The Whitecliffs Boulders are located on private property, but Whitecliffs Farm offers public access for a small fee. 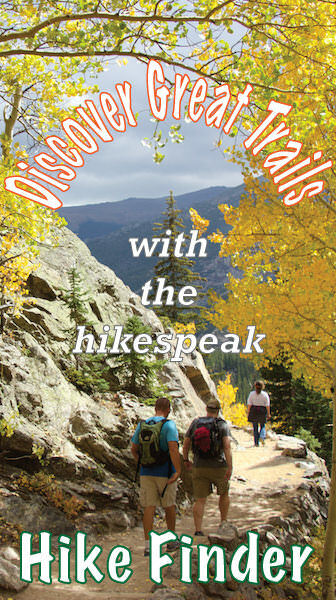 Register at the check-in station by the car park and set out for the boulders. 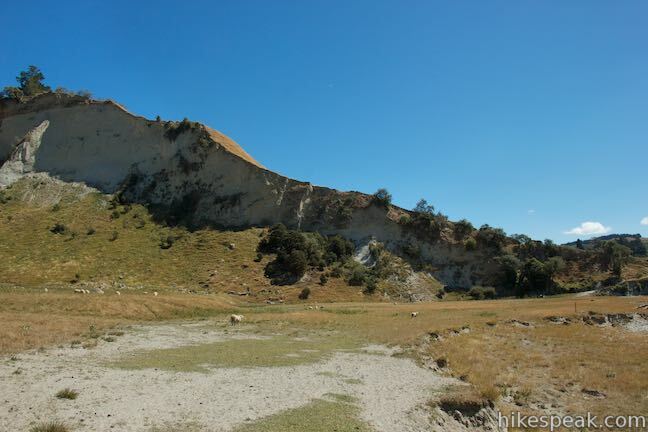 The car park is on top of tall bluffs along the Rangitikei River. 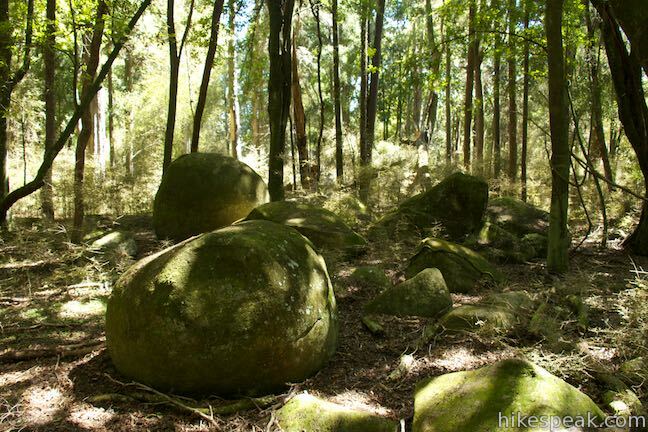 From the start of the walk, the forest containing the boulders can be seen along the river to the northeast. 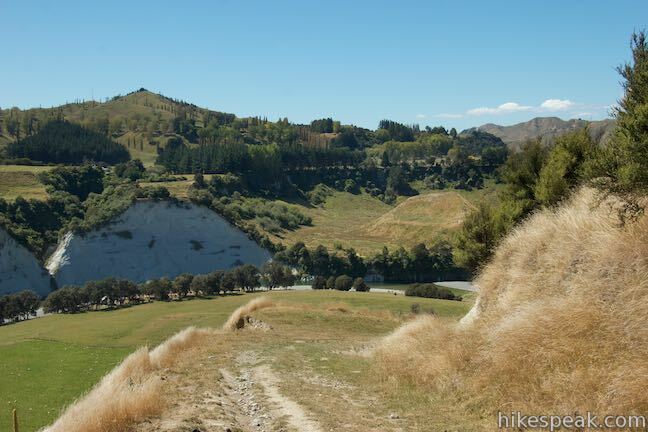 Since it would be dangerous to descend the cliffs that lie in between, the walking track crosses farmland to a less treacherous section of the bluffs. 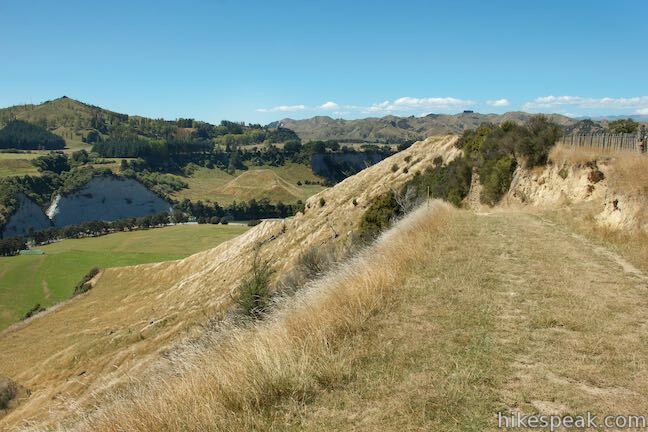 Orange arrows are posted along the route to keep you on course. 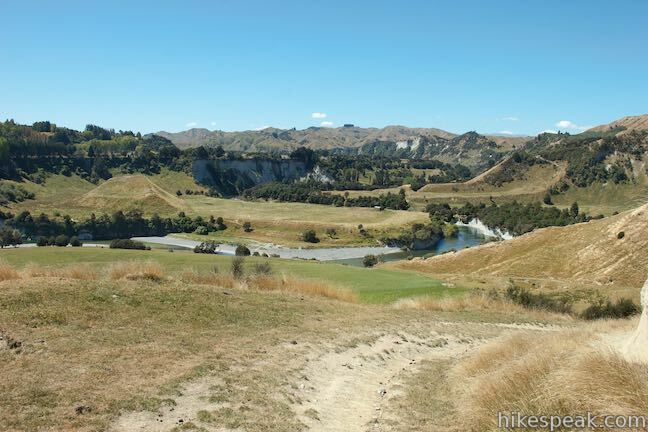 Walk downhill along a fence and go around a small pond to reach the first of four gates along the way to Whitecliffs Boulders. 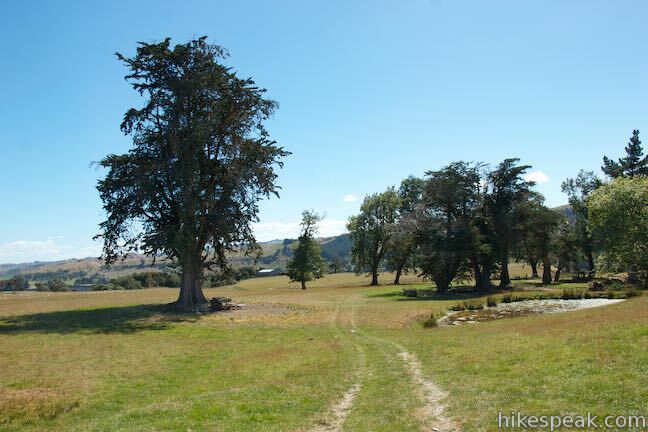 Pass through the gate, being sure to close it behind you, and walk across a large pasture. 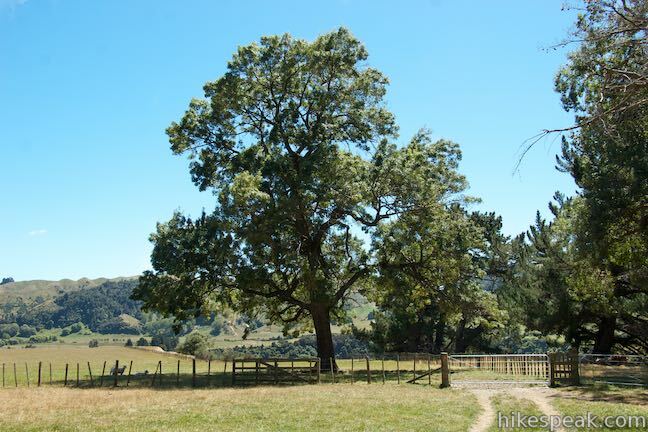 On hot afternoons, there will probably be lots of sheep enjoying the shade of several tall trees around the gate. 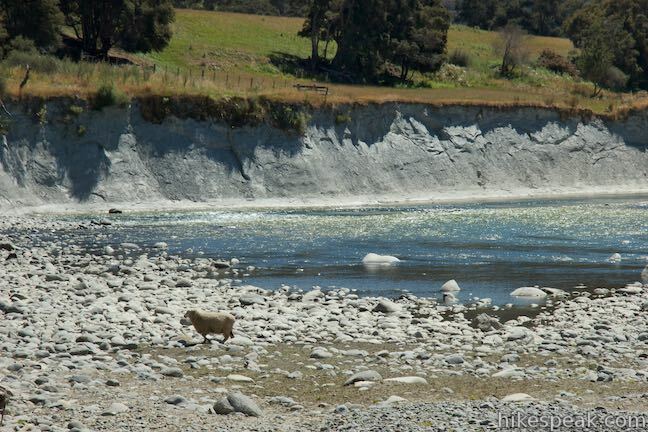 Some of the sheep may be curious by your presence, but most will scatter quickly. 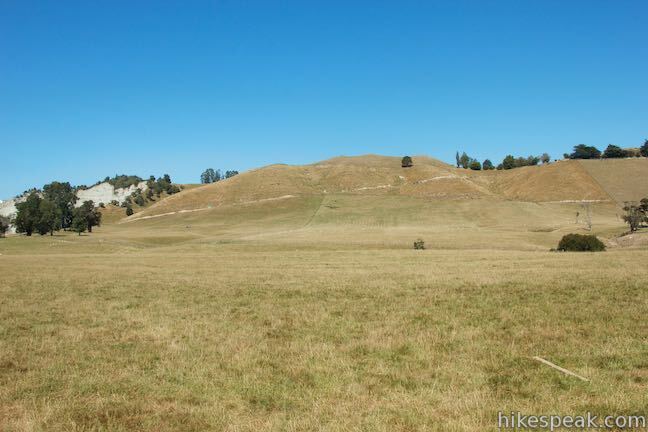 Proceed across a large open paddock toward a barn on the edge of the bluffs to the northwest. 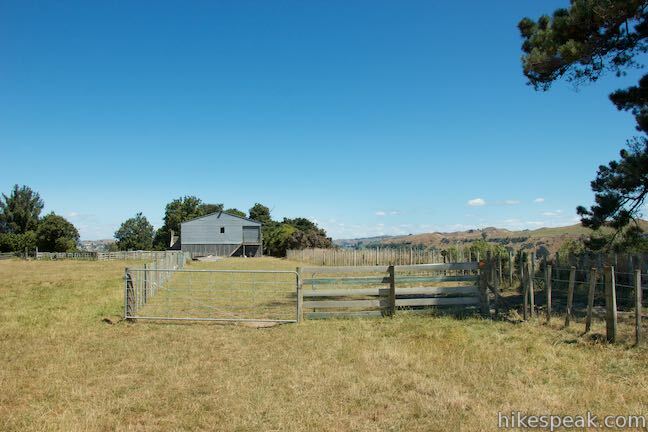 You can walk along the fence line or go straight across the pasture toward the barn. Just before the barn, the orange arrows direct you through a second gate. 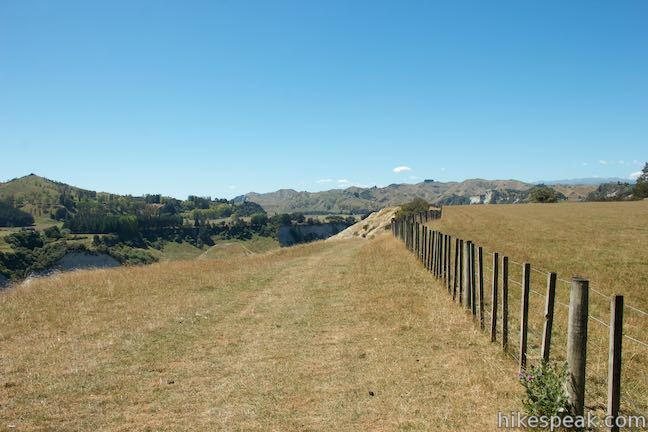 Go through it and make a U-turn to the right, following a double-track road down the other side of the fence. 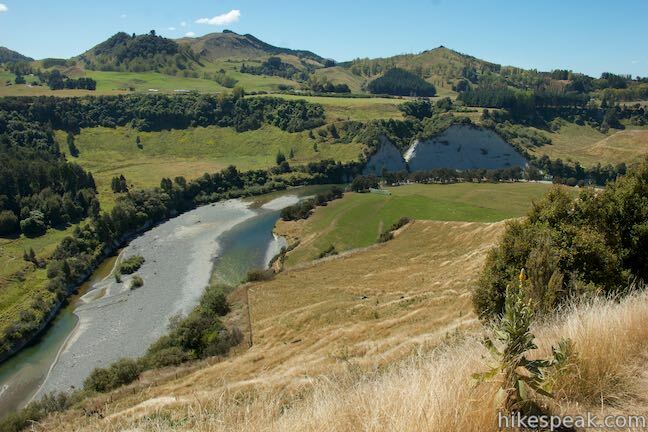 The road makes a moderate descent along the bluff to greener pastures on the banks of the Rangitikei River. 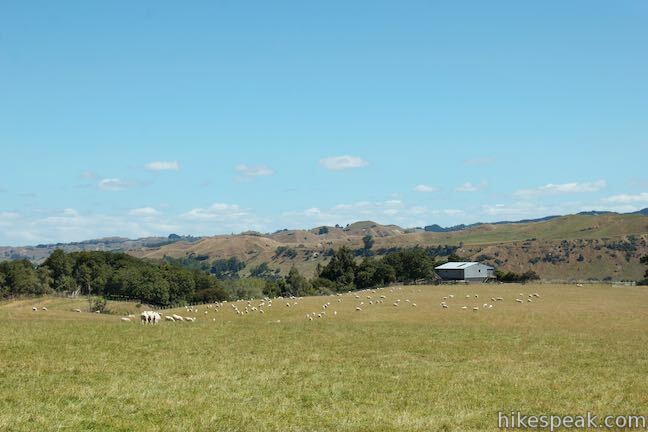 Bucolic hills with pastures and forests line the north side of the valley across the winding river. 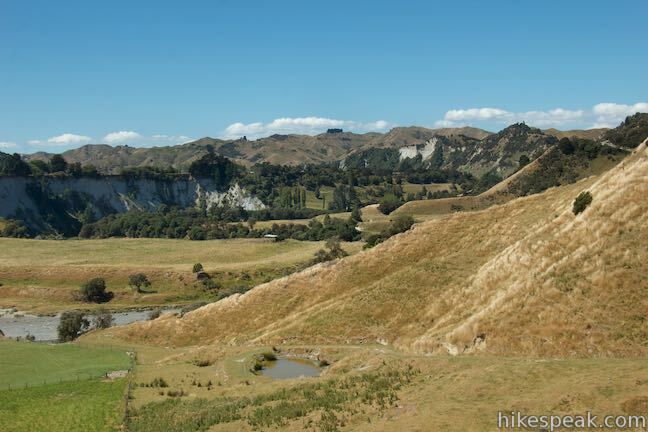 The road passes to the right of a large fertile paddock on the inside of a bend on the Rangitikei River. 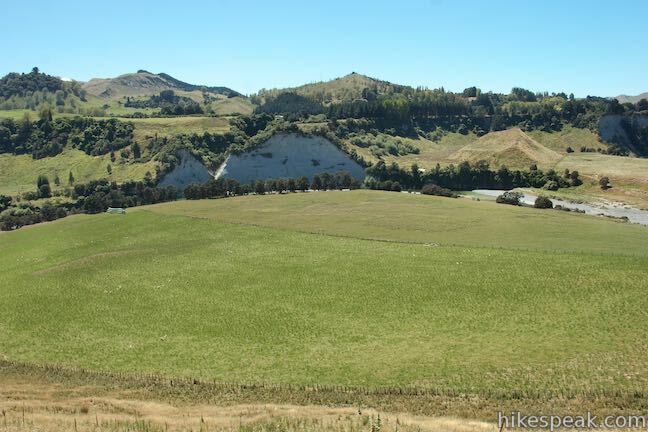 It is a lovely spot for a farm. Feel like you’re being watched? 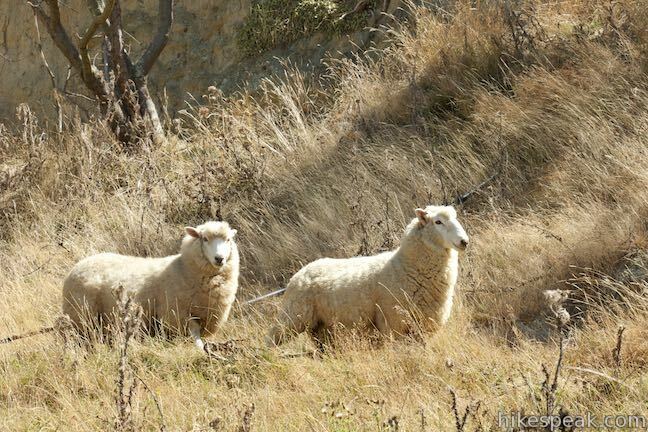 Sheep could be looking at you as they chew on grasses along the side of the bluff. Sometimes they even use the same road. 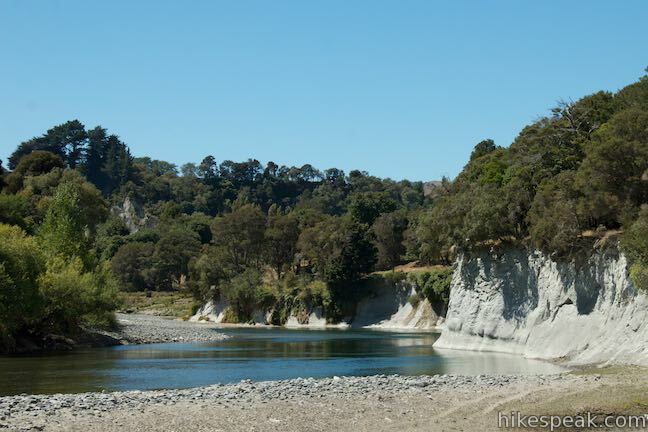 At the bottom of the bluff, now 1.4 kilometers from the start, go through a third gate and descend toward the Rangitikei River and a T-junction in the road. 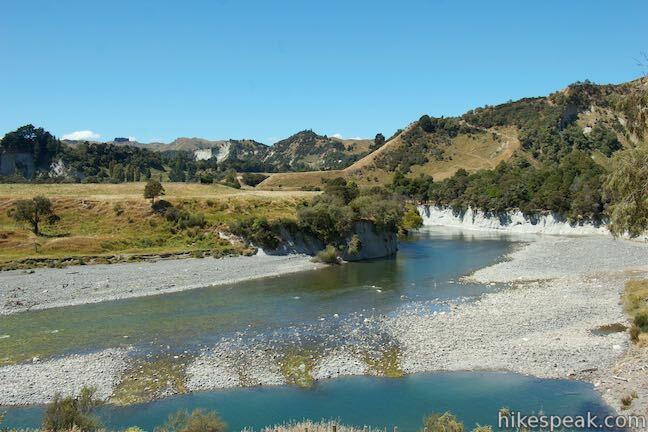 Follow the orange arrows and turn right, heading upstream. 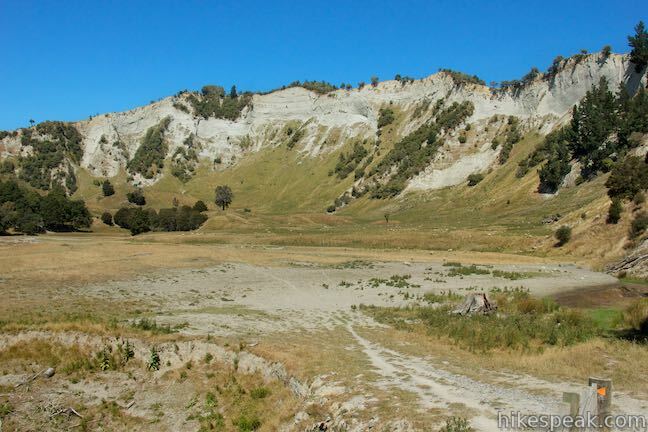 Cross a depression along the Rangitikei River beneath a crescent-shaped wall of alabaster bluffs. 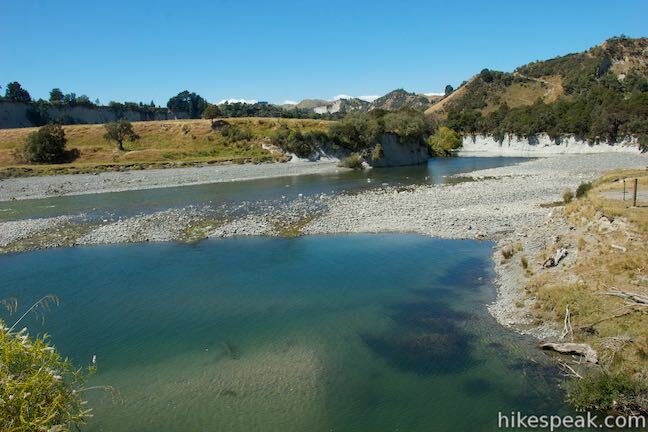 The teal blue waters of the river look quite inviting to your left, curving past a beach of gray stones. 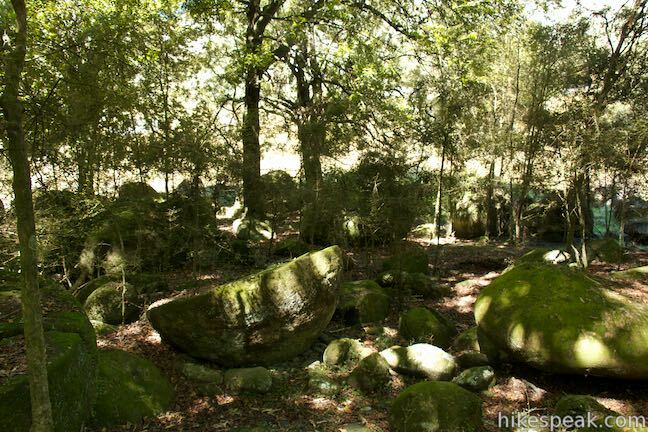 Head east along the river to a road going up a short hill into a forest containing the boulders. 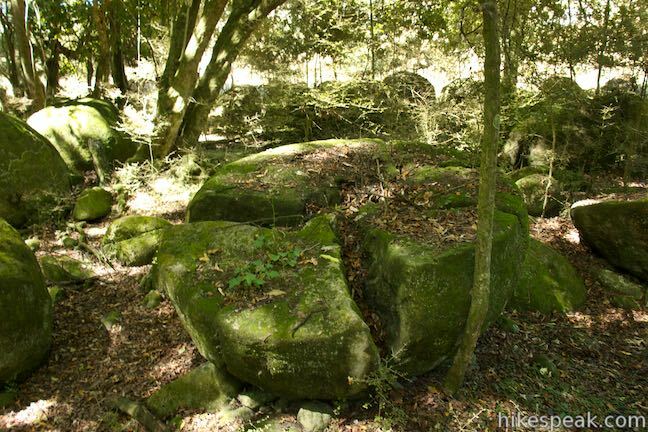 At the top of the road, you’ll find a final gate, on the edge of the Whitecliffs Boulders, 1.85 kilometers from the start. 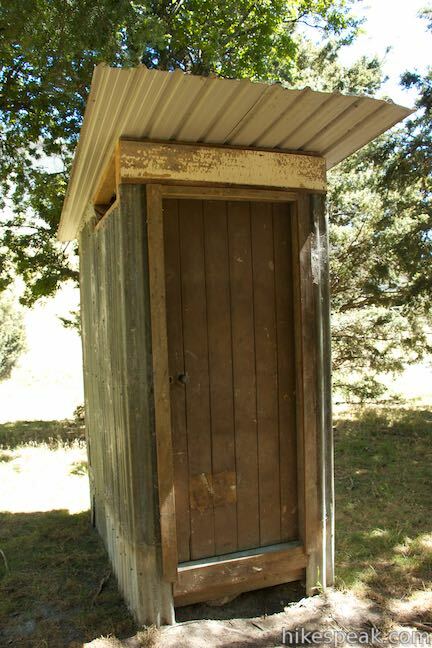 If you need it, there is a flush toilet in a small shack to the right. 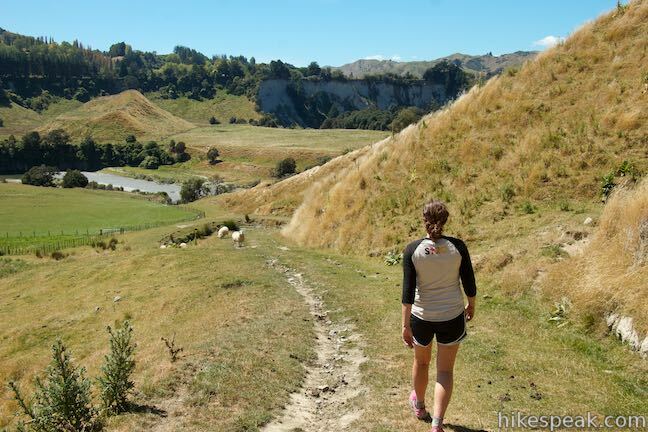 Otherwise, proceed through the gate to a sign about the Whitecliffs Boulders. 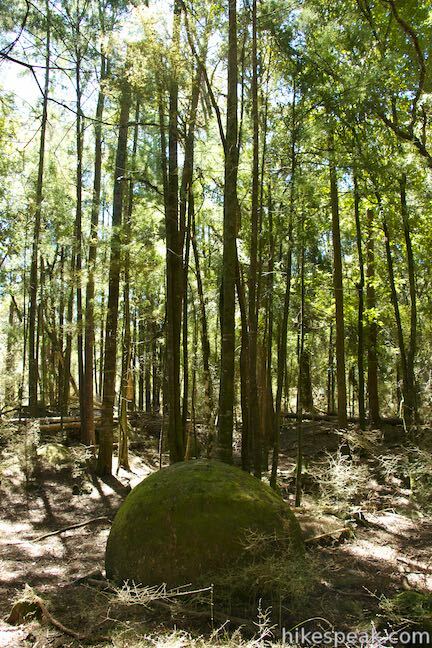 Make a slight right from there, following orange arrows into the trees. 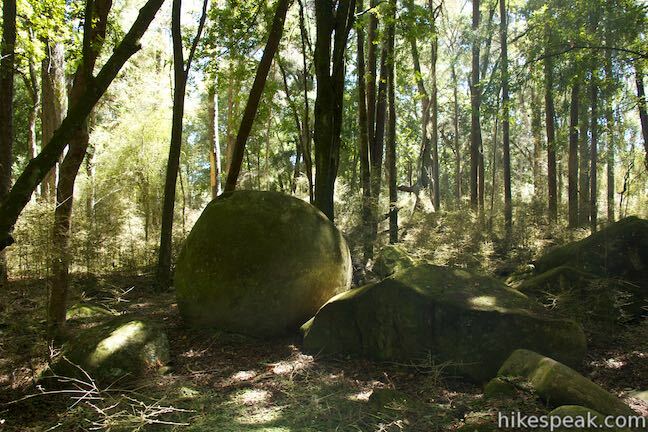 Large spherical boulders lie throughout the forest. 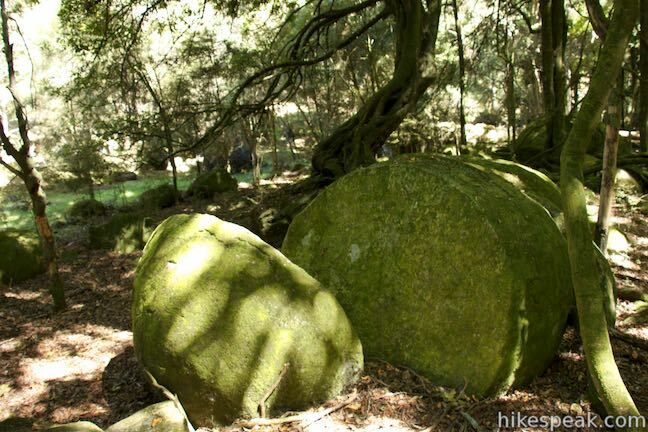 The markers lead past some of the biggest and roundest. 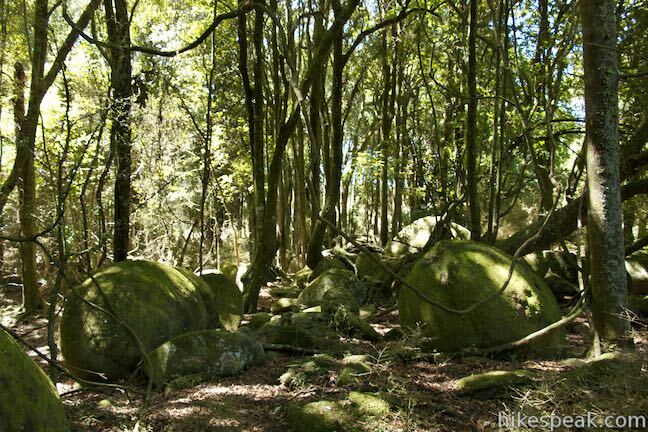 When the arrows stop, explore the small forest for as long as you like before turning back. 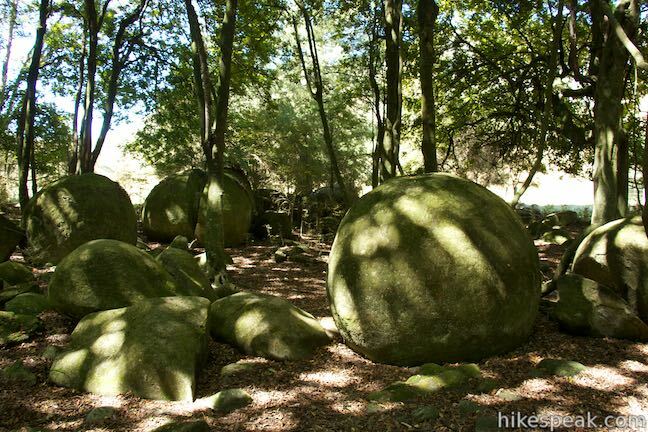 Many boulders are 1 to 2 meters tall and their smooth round shape is quite alluring. 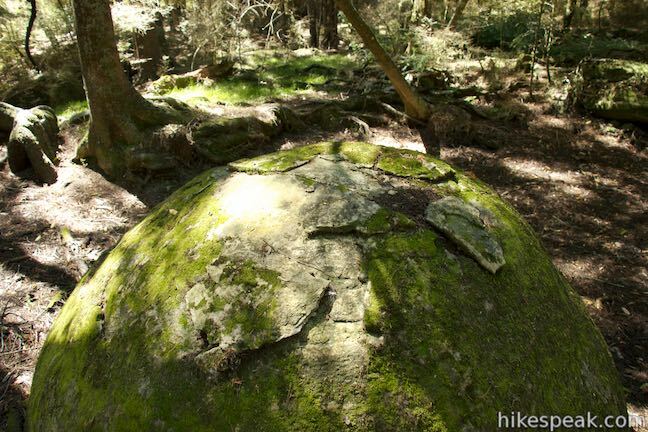 Several boulders are cracked and trees have found a way to grow through or on top of some boulders. 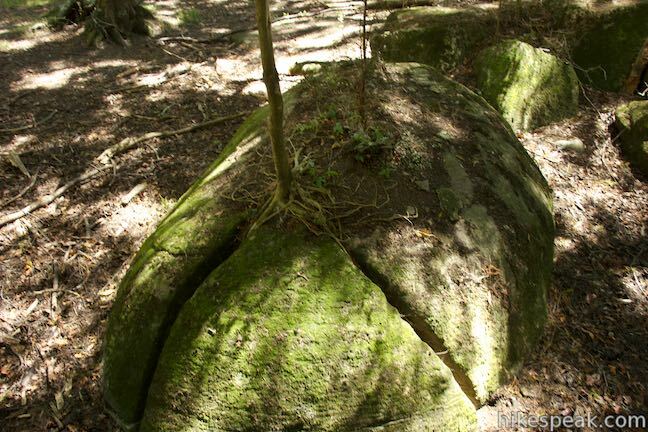 The Whitecliffs Boulders are called concretions and have formed within the rocks where they are found. 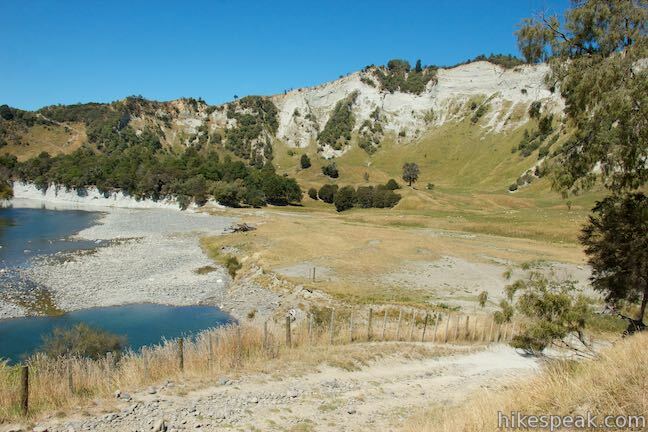 In this case, the rock type is the Mangaweka mudstone, which was deposited off the coast of an older version of N.Z. from 2.5 to 3 million years ago. 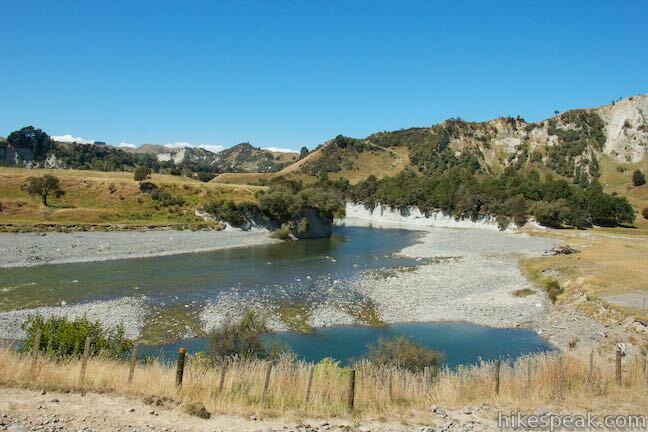 The mudstone came from sediments dropped by rivers eroding land into the sea. 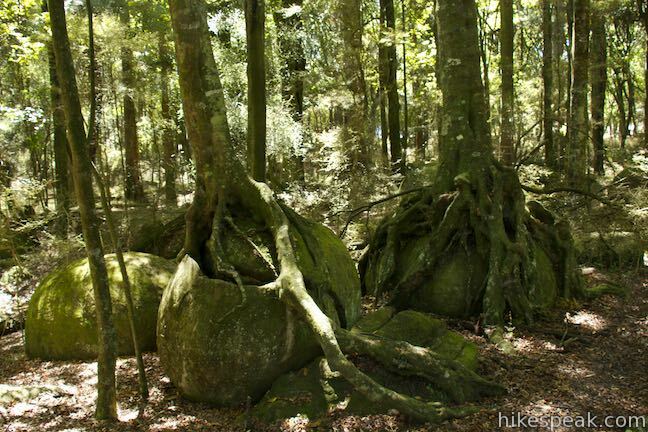 The rivers carried more than sediments, which was key to the creation of the boulders. Shells and trees were also carried out to sea and were trapped in the sediment. 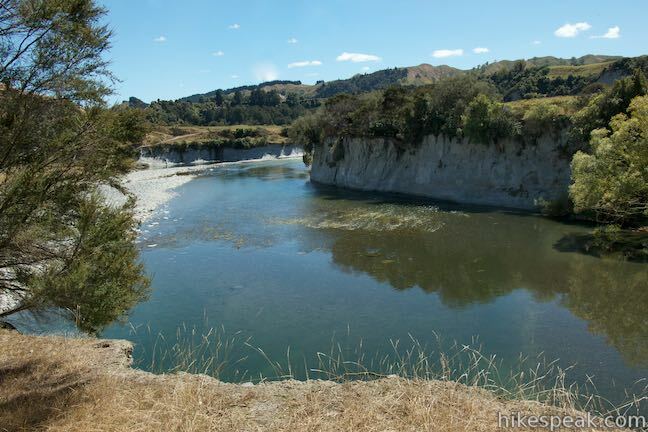 The mud was full of water and as new sediments were deposited on top of the mud, the water was squeezed out. 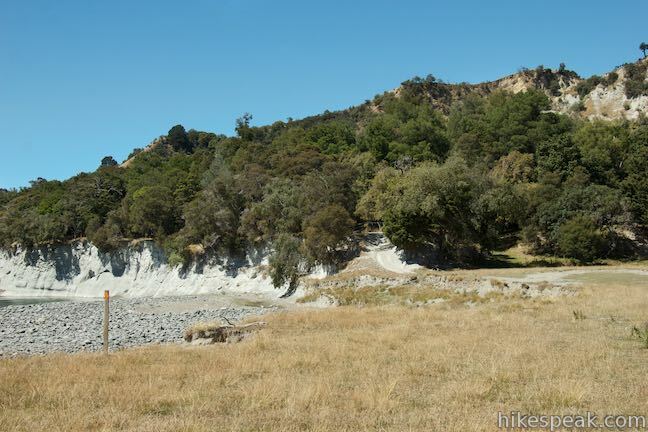 The water contained dissolved chemicals that dropped out of solution and formed cement around what was left of the buried shells and plant material. 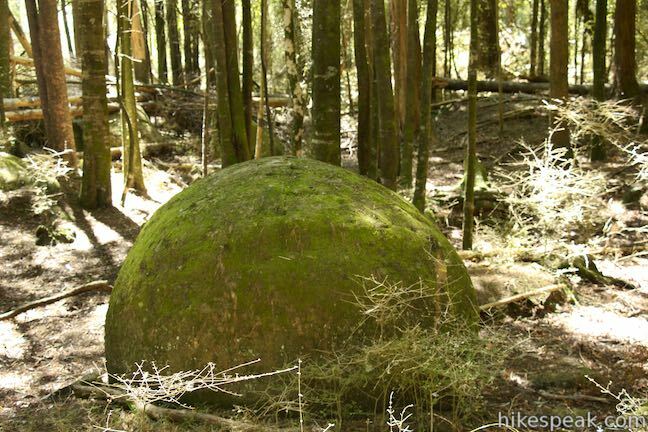 The organic material seems to create a node for this process to occur. 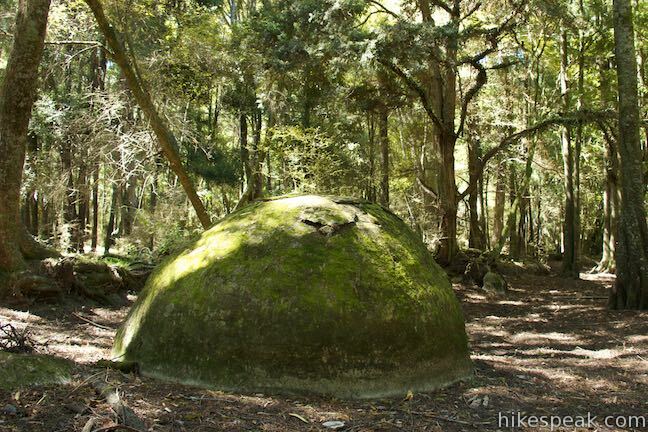 Layer after layer, calcium carbonate wrapped around the shells and trees to form cement concretions. 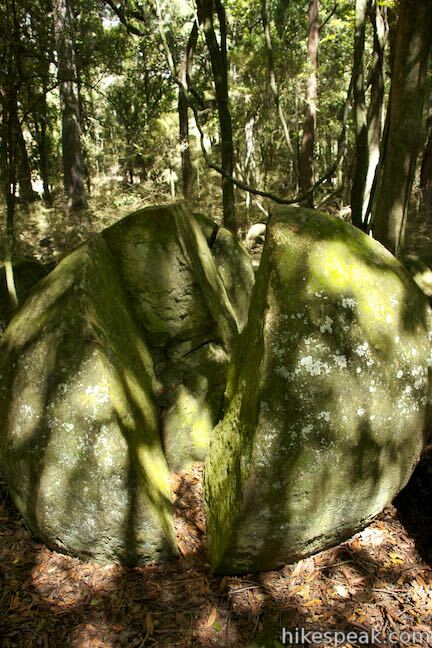 Concretions can come in several shapes, but the round Whitecliffs Boulders are called cannonball concretions (it would take one huge cannon to fire the biggest boulders). 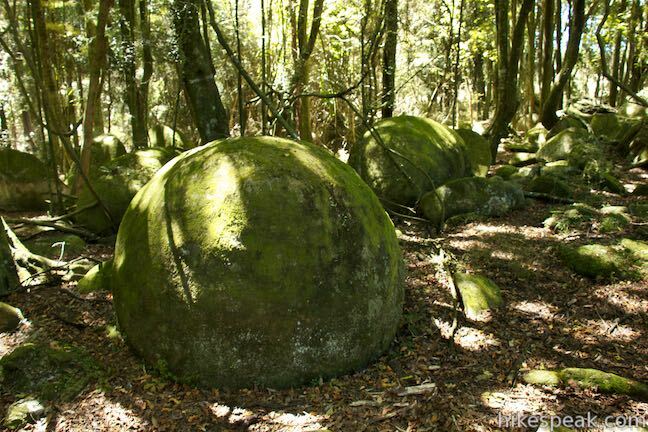 These concretions are called cannon ball concretions and are particularly large. 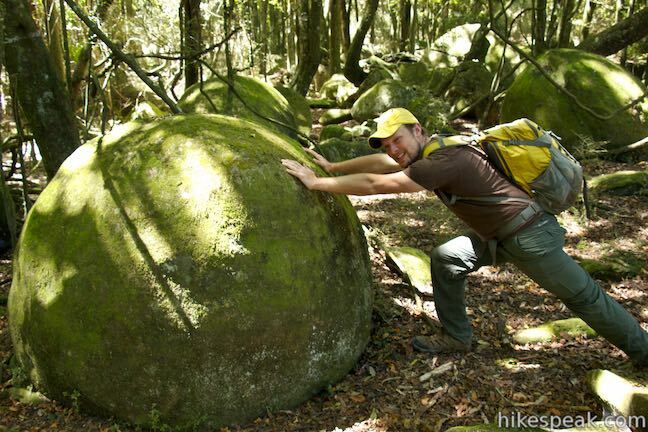 There are larger ones in the USA that are 10 meters in diameter. The size is related to how much dissolved chemicals were in the water and the volume of water that flowed past the nodes. In this case, there must have been a lot. 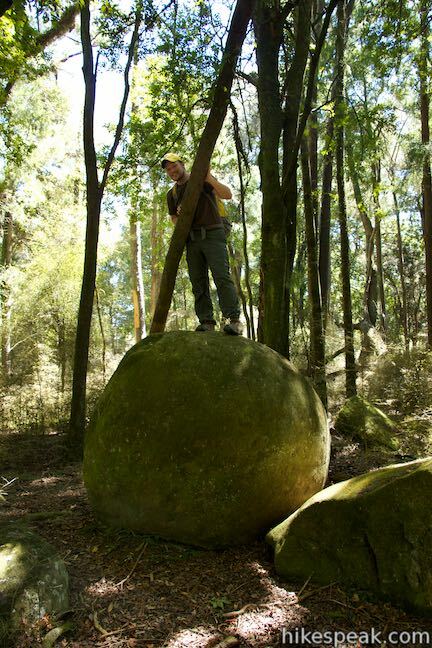 Specific conditions needed to be present for the boulders to be created and they definitely feel special up close. 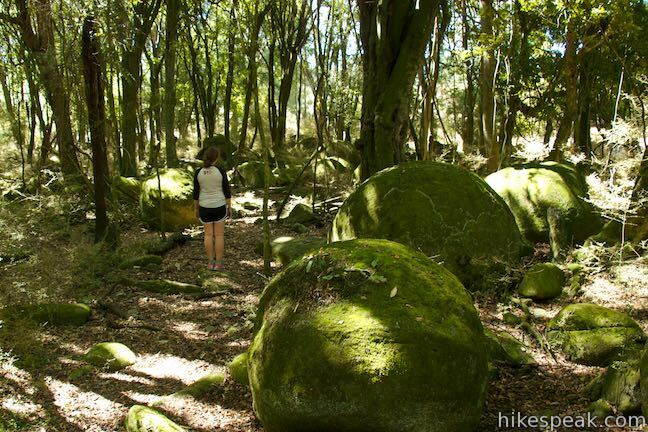 The Whitecliffs Boulders and surrounding trees are covered in green moss that contributes to the area’s enchanting feel. 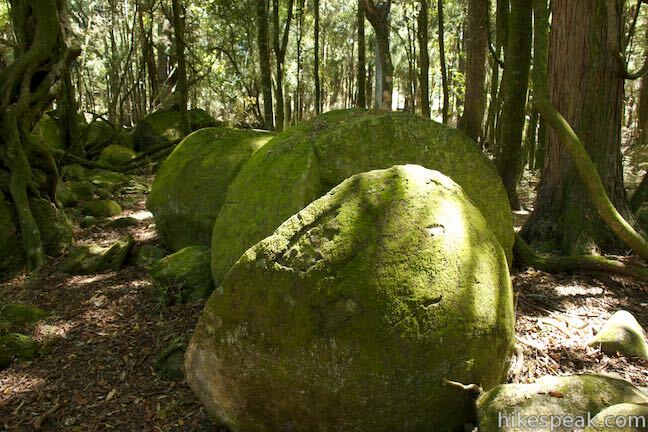 It’s enough to make you imagine you were walking through a giant’s marble collection. 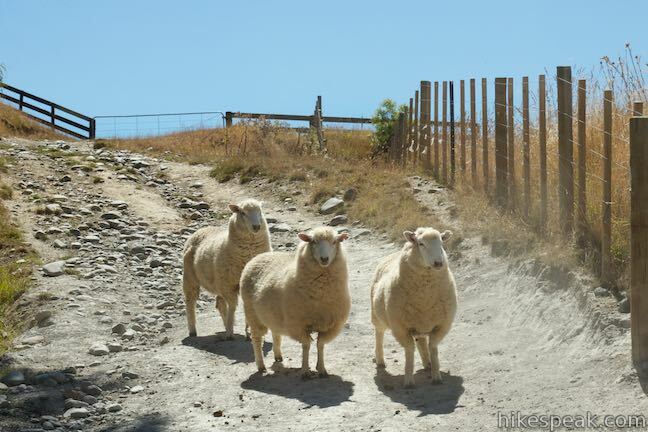 When you’re ready to go, walk back the way you came, heading uphill to the car park. 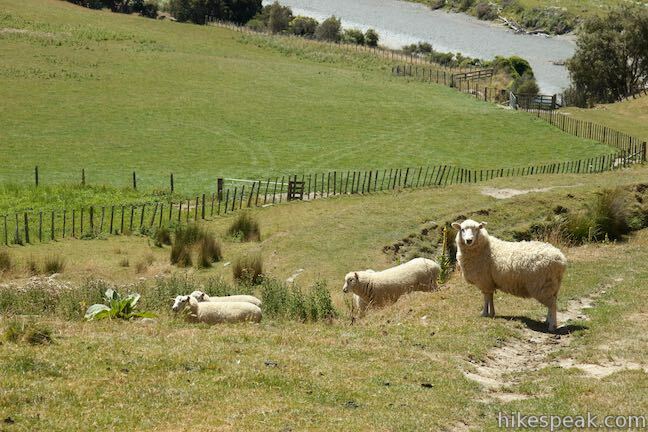 The sheep will have moved, but everything else should be the same. 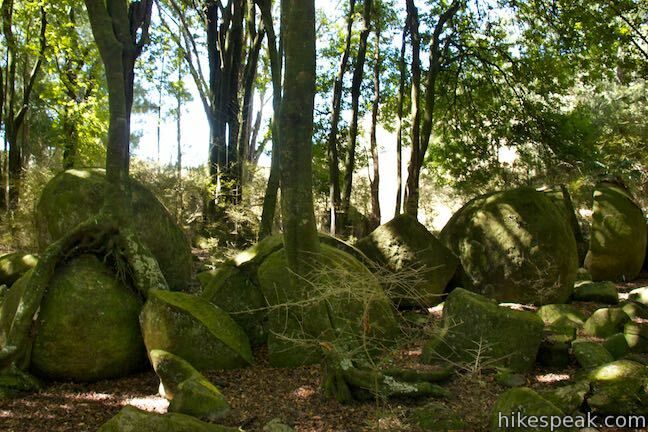 There is a fee of $5 per person (children under 12 are free) to visit the boulders (price in New Zealand Dollars as of 2015). 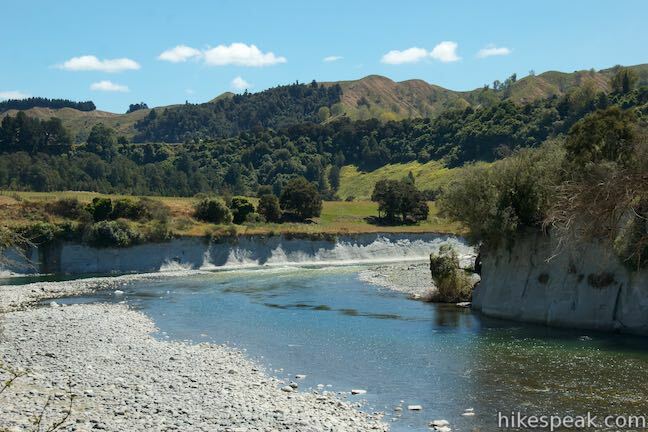 Directions: Take State Highway 1 to Otara Road, located 17 kilometers north of Hunterville and 9.5 kilometers south of Mangaweka. 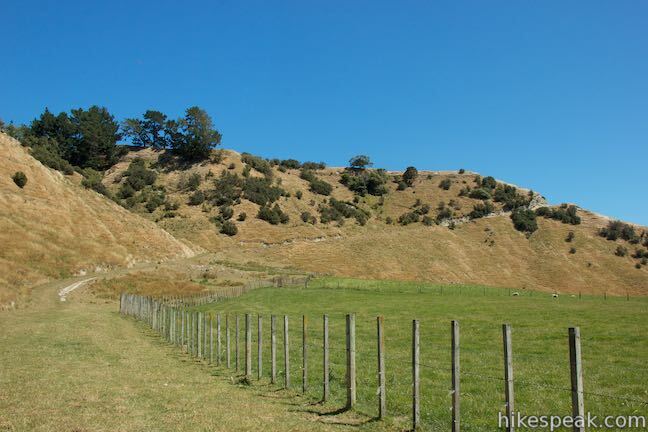 Head east on Otara Road toward for Rangiwahia (there is a small sign at the intersection for Whitecliffs Boulders). 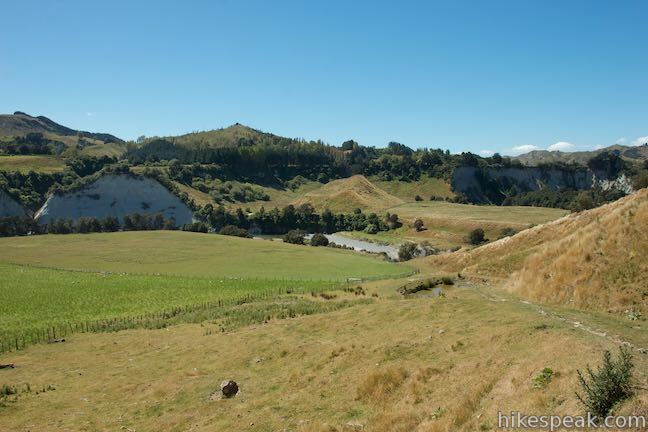 Drive 4.6 kilometers on Otara Road (crossing the Rangitikei River) and turn left on Peka Road. 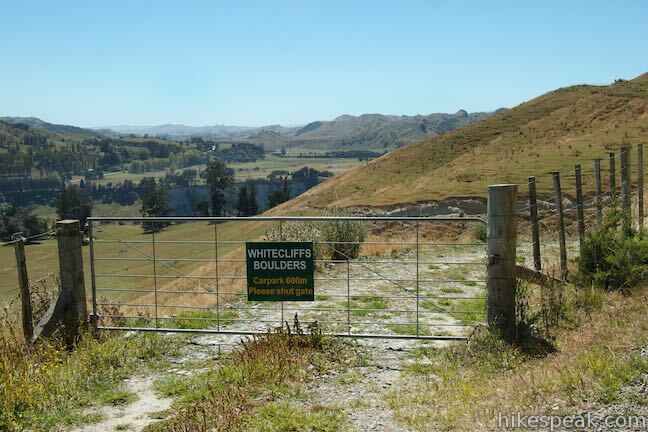 Drive 5.5 up this narrow gravel road to a crest where a gate on the left bears a sign that reads, Whitecliffs Boulders Carpark – 600 Meters. 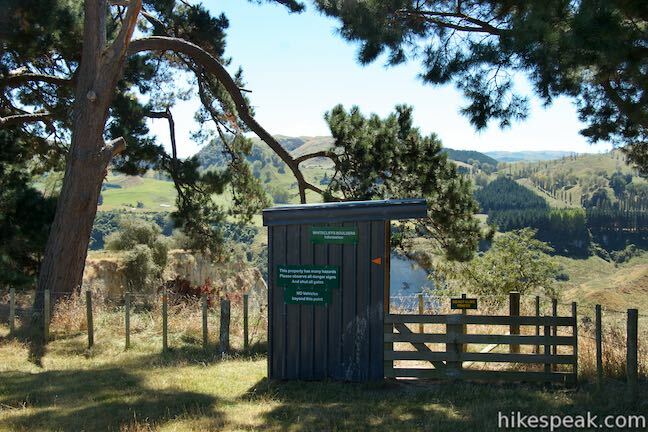 Pass through the gate (closing it behind your vehicle) and proceed down a rough road to a grassy car park by the check-in station. 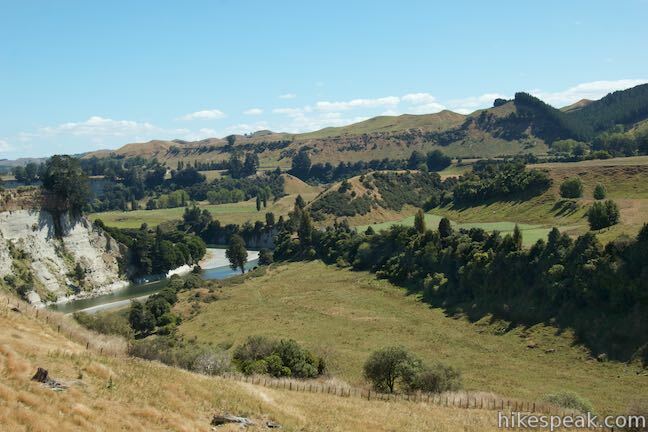 This lodge along the Rangitikei River is in a beautiful country setting that is private, elegant, and comfortable. 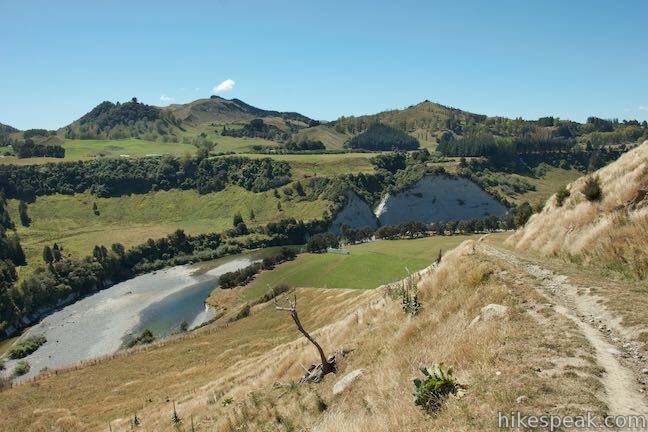 Relax in and around the lodge, go for a swim, or tackle one of the area's adventures.